You’ll note that McCulloch indites pretty much everyone except the officer who pulled the trigger on an unarmed civilian. Our favorite part was when he said the grand jury “gave their lives” to examine all the evidence. Was that really the choice of words you wanted to use there? Look, we all knew this was coming. And maybe the evidence, if it had gone to a trial, would have supported Officer Wilson. We haven’t looked through the data dump McCulloch’s office provided yet. Frankly, we’ve waited a couple days to write so our post is informative and helpful instead of accusatory and filled with profanity. The problem here is how this was all handled from the very beginning. It started with the Ferguson police releasing only the information that helped their case. Isn’t it amazing how the video of Brown robbing a convenience store was leaked to the public, but there were no leaks when it came to anything involving Officer Wilson? The official police report was also a joke, so it wasn’t until this week when we actually got to hear the full version of what the police say happened. Cops protecting themselves isn’t anything new though. But something that is rare is a grand jury issuing a no-bill. At the federal level, attorneys prosecuted over 162,000 cases in 2010. 11 were returned without an indictment. In terms of percentages, that means the chances of Wilson receiving a no-bill was .00679%. If only. The percentage is higher mostly because McCulloch didn’t do his job. He’s a prosecuting attorney, which means it’s his job to prosecute someone. Instead, he said from the beginning that he wanted to present the grand jury with all the evidence available and let them make an informed decision. Sounds great, right? Except that’s not what grand juries are supposed to do. Grand juries exist to determine if a case should be sent to trial. And while their is good evidence that Wilson was not guilty of a crime, there was definitely evidence that something went wrong and a jury should probably examine the evidence. Even in McCulloch’s 45-minute grandstand evidence was laid out in a somewhat nonsensical way – McCulloch said Wilson was responding to a burglary, but it was earlier reported that Wilson had no idea a burglary took place. Wilson describes Brown as a “demon” at one point. Isn’t that enough evidence right there? And can we all agree that when a white police officer shoots an unarmed black teenager, there should at least be a trial? What McCulloch did was to have a “secret trial” with the grand jury. Even a halfway competent lawyer could have presented enough evidence to push this case to a trial. Instead, McCulloch didn’t present a charge. He didn’t present evidence in a way that would make any sense to a grand jury. He didn’t do his job and Wilson walked because of it. As we said earlier, maybe the outcome would have been the same had this case gone to trial. But the fact that it didn’t even get that far shows just how broken our legal system still is. Attorney Generals rarely make headlines. Many people probably don’t even know what their Attorney General does at either the state or federal levels. But after a New York Times article came out just a couple weeks ago, Missouri voters definitely know what an Attorney General isn’t supposed to do. Chris Koster has served as the state’s Attorney General since 2008, winning re-election in 2012 largely because he’s had a pretty successful track record. As the top law enforcement officer of the state, it’s mostly his job to stay out of the headlines unless he’s prosecuting a major case on behalf of Missourians (and unless he’s switching parties to win an election). But Koster got busted in late October, and in a big way. Now Koster isn’t the only person doing this, especially in the great state of Missouri. See, in the Show-Me state, there’s no limit to what lobbyists can donate and individual donors can contribute. As long as it’s recorded, you can give out hundreds of thousands in one setting, as Rex Sinquefield often does. Very few other states have such lax rules when it comes to “dirty money” like this. But as the NYT article points out, campaign finance reform and changing the way donations are handled won’t fix everything. It’s the culture that lobbyists create that’s the problem. Lavish dinners and cocktail parties. Lobbyists drafting legislation that more often than not becomes law with minimal changes. These are just a few of the reasons why we’re in the mess we’re in. The biggest issue here is that Koster was essentially caught red-handed. He’s supposed to be the highest ranking member of law enforcement in the state, and he got caught if not breaking the letter of the law, than certainly the spirit of it. And this isn’t even the first time he’s been accused of such misbehavior. But this is old news – the NYT article is from the end of October, and it’s almost Thanksgiving. So what’s changed? Not much. Sure, Republicans in the legislature will go after Koster with a commission, and Koster has already said he’ll reform the office. In the end, this is going to amount to a slap on the wrist, though – if that. 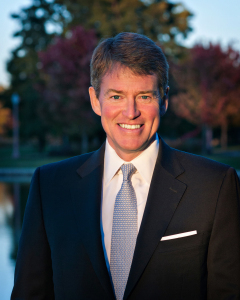 Koster was planning to run for Governor in 2016, and by then this saga will have blown over. Because in our modern political system, we half expect our politicians to take bribes.